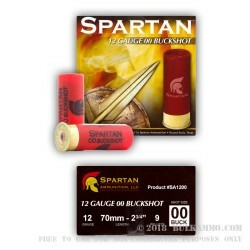 This 12ga 00 buckshot by Spartan Ammo is the perfect round for self-defense or hunting. 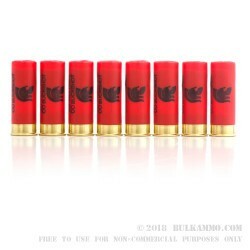 The 9 pellets of lead buckshot carry a stunning muzzle velocity of 1315 fps and will blast a hole through any intruder or 8-point buck. The 2-3/4 inch shells are made of durable plastic and feature a low brass base. Inside is a standard wad construction that helps channel the 00 buckshot towards your intended target. Within 15-25 yards, you can expect the buckshot to cause large, devastating wound channels. 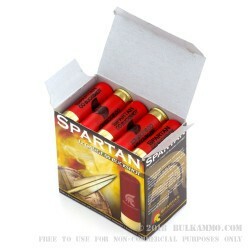 Spartan manufactures and ships their ammo from Round Rock, Texas. 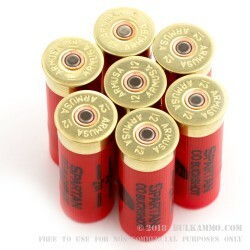 These shotshells are available for an amazing price, so don't miss out on this 250-round case! fast ship, what i ordered. I haven't shot any of these yet, I bought them just to stock up a little. I ordered these on FRIDAY AFTERNOON and they were delivered on SATURDAY AFTERNOON. That's the quickest I've EVER received ANYTHING I ordered!!! Great service. This review requires rating in each category, I don't have any experience with the reliability or performance of the ammo. It was a good bargain and the shipping was fantastic. Q: What's the energy at the muzzle? A: Hello Jon! 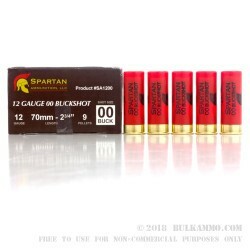 Spartan lists the muzzle velocity of this round at 1315 fps but they do not list a muzzle energy for this specific round. 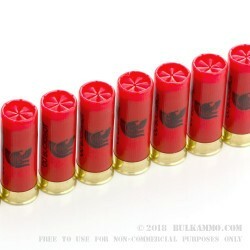 Q: is that 9-32 cal lead pellets? A: Hello! 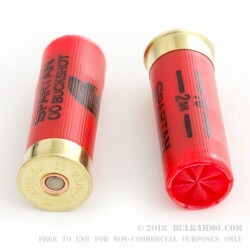 A standard 00 buck pellet has a diameter of .33" and weighs about 60.5 grains a piece. 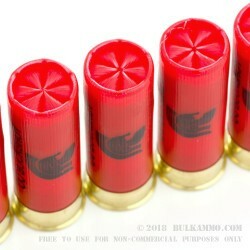 Q: Is this standard 00 Buck, or is this the "low recoil" ammo? A: Hello Erick! 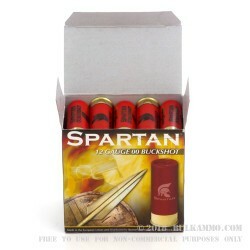 This Spartan ammunition is loaded to standard velocities. 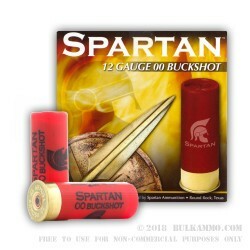 Spartan lists the muzzle velocity of this 00 Buck round at 1315 fps. Q: are these lead pellets? A: Hello Mike, This ammunition is loaded with standard lead pellets. A: Hello Timothy, This ammunition is manufactured in the European Union. Posted On: 9/9/15 By: J.J.
A: Hello J.J. Spartan lists the muzzle velocity of this round at 1315 fps.